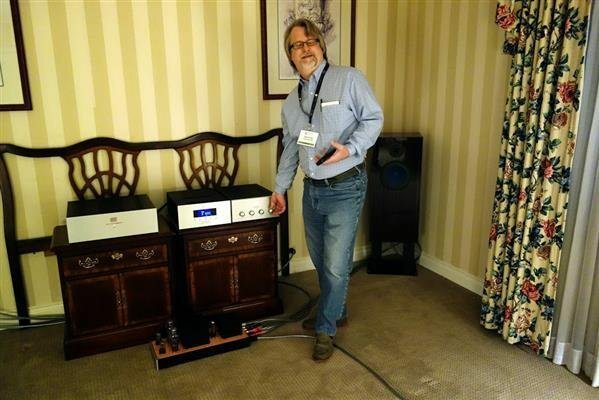 The Nordost room is a reviewer’s delight – the one room where you get controlled experiments. 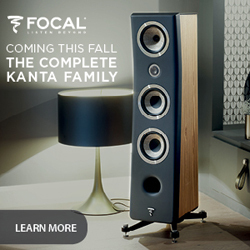 This year I heard a comparison between two identical sets of speakers, one with the manufacturer’s spiked feet, the other with the Nordost Sort F?t. And a second where a single Valhalla power cable was replaced by a Valhalla 2. Now these may not be perfect scientific tests but they are certainly indicative of some remarkably effective technology, and I hope to conduct further testing later to see how things work out in my own home. Maybe you should do that too. 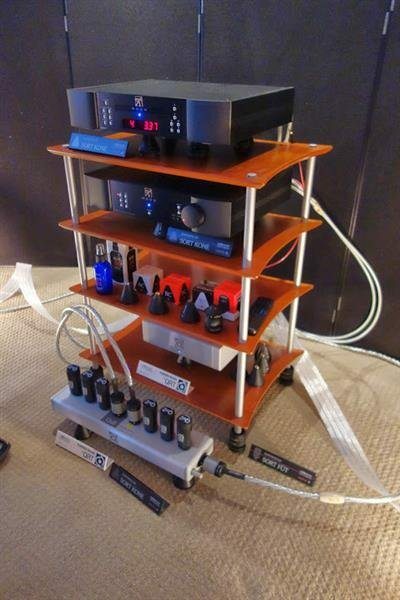 Nordost used a very good but not high-end setup as the background to their tests, based on a SimAudio Moon CD Player and Integrated amplifier, complete with various Sort Kones, QRT power purifiers and Valhalla 2 cabling, the upgrade of the famous and highly regarded Valhalla cable. In the first experiment, we were testing the new Sort F?t which does for loudspeakers what the Sort Kones do for amps and CD players. 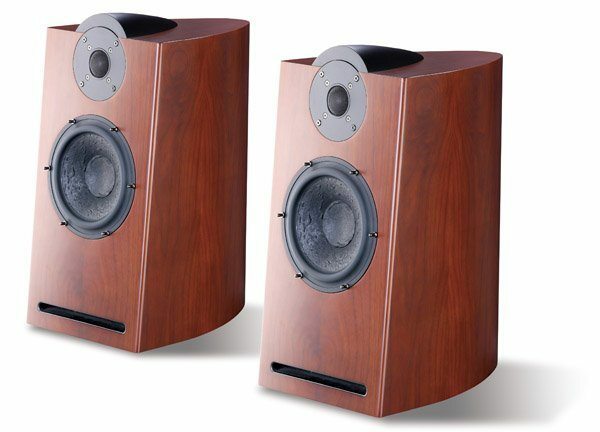 Here you can see the two modestly priced Dynaudio Excite speakers, identical but for the feet (the Sort F?t on the right). To these ears, the modified speakers were clearer and more relaxed. 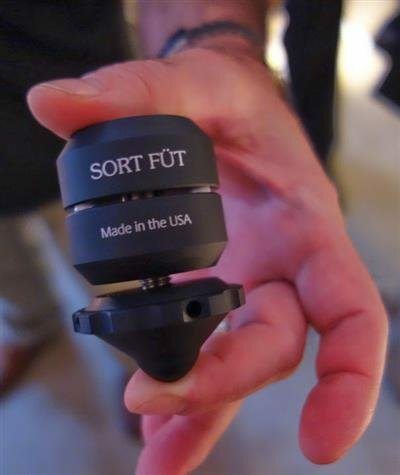 They make the footers in three sizes to fit differently threaded speakers, and they sell them in packs of four (with a level) or individually. I’ve used the Valhalla cables as my reference for many years and they were the top cables in the line until the introduction of the extraordinary and ultra expensive Odin cables. The new Valhalla 2 lies between Valhalla and Odin in price and performance. Crucial to the new design are the unique HOLO:PLUG terminations. I am told the most price effective gains come in the power cables. 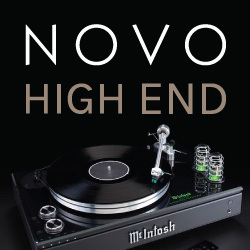 I wish more manufacturers would take the approach that Nordost has in demonstrating the effects of their upgrades. This was one of the best sounding rooms, and this was my first time listening to the Marten Design Django XL speakers with their ceramic drivers and adjustable bass ($15950) in the company of Bryan Taylor. The Gramophone is an Edmonton based retailer, in business for 25 years, and also for the last 6 years, a high end distributor. Their brands include ATC loudspeakers from England, Marten Design speakers, AVID turntables, AMG turntables and Audiodesk from Germany. 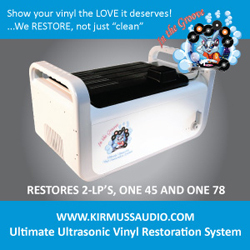 Audiodesk make the very successful Vinyl Cleaner which ultrasonically cleans and dries both sides of an LP automatically ($3800) and also a precise CD lathe. 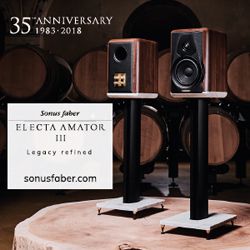 They are also the largest classical and jazz retailer in Alberta and stock a large collection of headphones, including STAX. 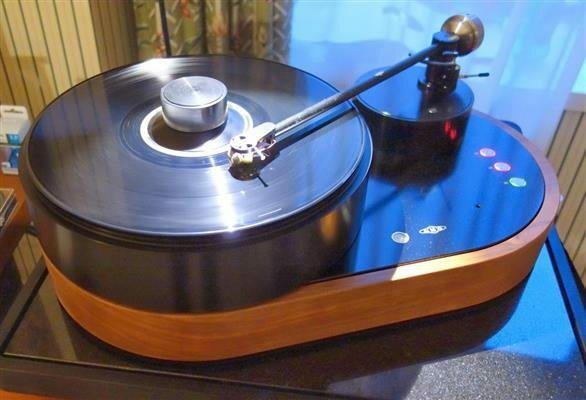 The AMG Viella 12 turntable and 12” tonearm ($17500) is top rated in Germany’s Stereoplay magazine and offers superb build quality. The platter is made form aircraft aluminum. The cartridge this time was the Benz Micro SLR ($3000). Among the headphone amps this is the Fosgate Signature tube amp with switchable bass boost circuitry and Panorama control ($1600) brought in by Garth Leerer of Musical Surroundings California. In this room I heard the Avalon Compás speakers ($35000US) driven by a Spectral DMC-15SS Studio Preamplifier and DMA 200S Series 2 High Resolution Amplifier. The sound quality here was simply exceptional by show standards. 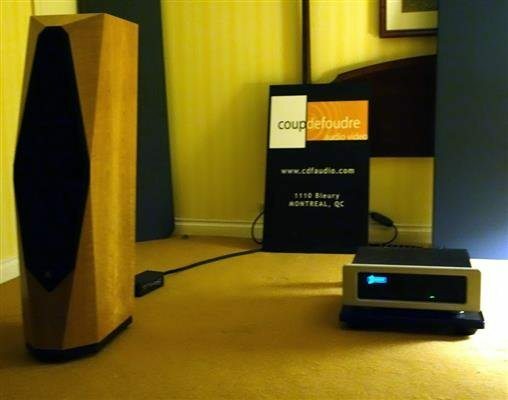 There are many, many stories to hear about Spectral and its resident guru and perfectionist Keith Johnson, so if you are in Montreal, pop in to Coup de Foudre and listen to the stories and the components. I promise your eyes will be opened and maybe your wallet too. 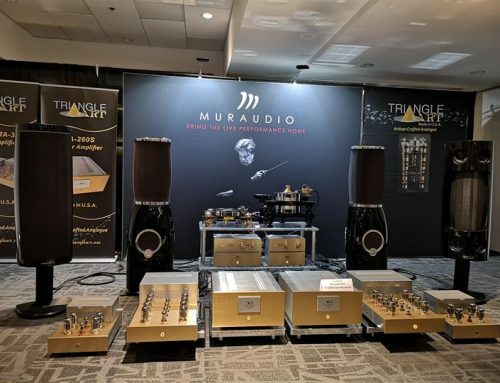 Gilles Dupuis showed me the elegant new Linar Audio P107 dual mono Preamp ($8500) and A120 Monobloc Power Amp ($8000 each) driven by an Esoteric SACD Player. 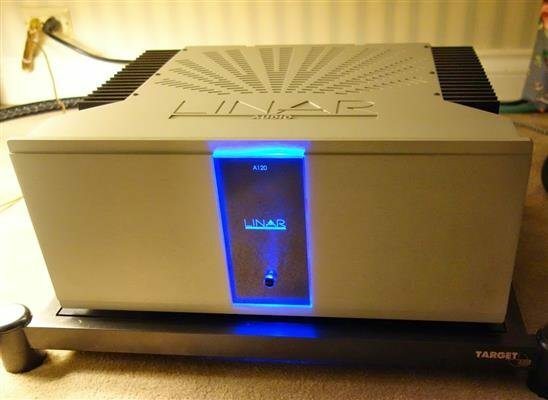 Linar was founded in 1993 by Victor Simard after selling SimAudio. His circuits use JFET devices at the input and MosFET devices at the output to create a tube sound using solid state components. Gilles purchased Linar in 2009 – “I liked the sound so I bought the company” he joked. Linar’s A120 monobloc offers 200 watts of class A true balanced sound in a relatively compact chassis using very efficient heat sinks. 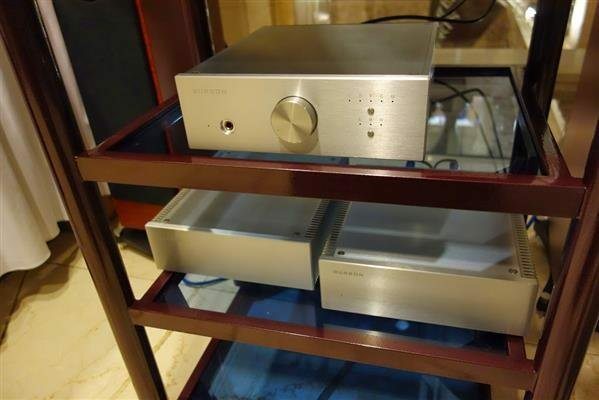 There is also the A105 dual mono 50 wpc stereo amp ($8000), using no feedback, displaying its massive power supply and multiple capacitors so that there is power instantly available for each power transistor. Circuits are beautifully laid out. Linar Audio is based in Ottawa. Feeding Focal Scala loudspeakers, these Linar components produced a warm, vibrant and three dimensional sound. Sales are moving well in Quebec and now Gilles hopes to replicate this success in Ontario. 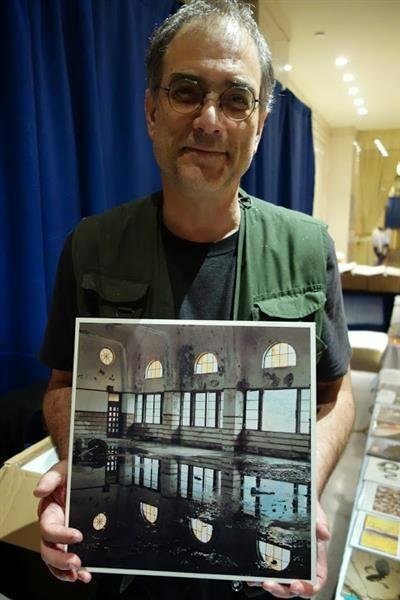 Among the specialist labels, none can beat the recording quality achieved by Todd Garfinkle of MA recordings with his unique microphones and authentic recording venues. 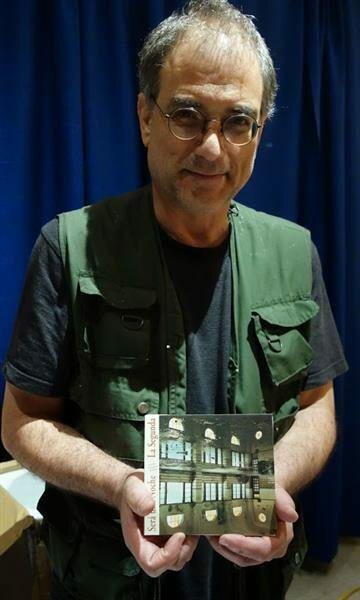 He is happy to offer you recordings in a variety of formats including CD, CDR, SACD and hirez DVD ROM. Take your pick here with Será una Noche. As you can see, he is now turning his hand to LP releases from his best recordings. Something for the do it yourself crowd. Vancouver’s VK Music’s Victor Kung imports a wide variety of amps and drives from Japan for all skill levels, including some made specifically for children to build. 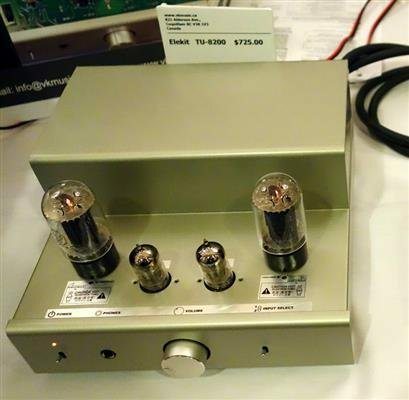 Here’s the TU-8100 PCL 86 Vacuum Tube Amplifier kit, which retails for a modest $345. 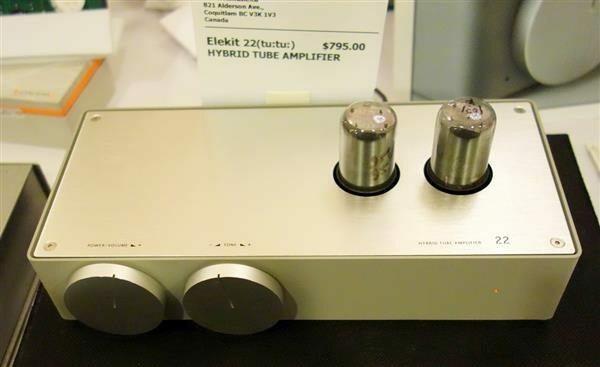 Going upscale we have the elegant Hybrid Tube amp Elekit 22 which can be yours for $795. Designed by Koichi Futatsumata it offers 12wpc, it has two input sections, one designed to match well with the headphone output of various portable devices. The tubes shut down automatically after 10 minutes without signal and come alive again when a signal returns. And here’s the Elekit TU-8200 at $725. 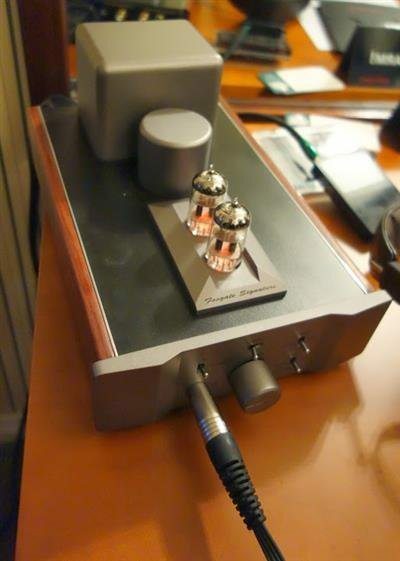 If you’re looking for a kit portable battery powered vacuum tube headphone amp try the hybrid TU-HP01 at $245. Follow the instructions and Victor is sure you’ll be fine. You need a soldering iron and a multi-meter. If you get into trouble – Victor will help. 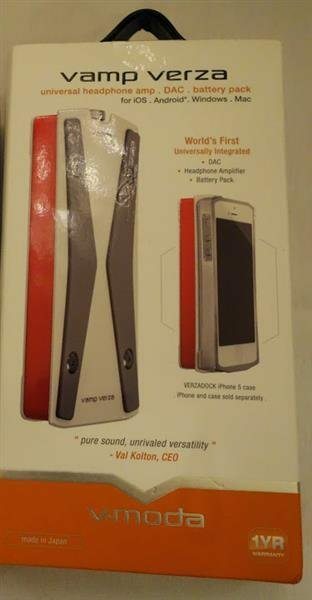 V-MODA headphones are selling like hot cakes I’m told. 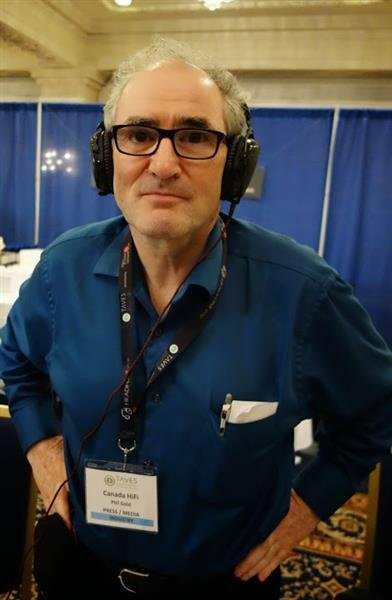 Here’s me sporting the top of the line Crossfade M-100 ($300) which sounded pretty good driven directly from my iPhone and was pretty comfortable too. 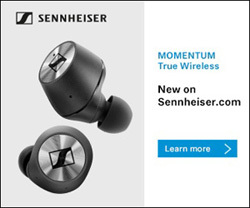 It is the number one selling headphone in the $300 range. It’s made of military grade steel so it’s virtually unbreakable. 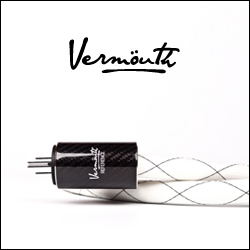 The plug-in cables are made of Kevlar and tested up to 1.2 million bends – standard in the industry is 60,000 bends before deterioration. It folds up pretty neatly and travels in the case which is included. The company has been around for 10 years but this year is the breakout year for V-moda. Karl Detken showed me three models in all, good/better/best. Good is the LP ($200) and Better is the LP2 ($225). 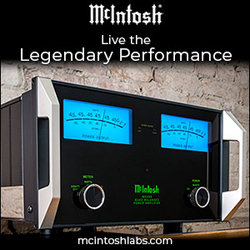 Best is the M-100. They all have the same closed-back ergonomic design, with just the sound drivers being different. They also make an audiophile universal DAC/headphone amp/battery pack ($598) – the Vamp Verza which you can also wrap onto your smartphone. Made in Japan, designed in Italy, it can directly access the digital output of an iPhone 5/5S or Galaxy S3 device with the supplied Lightning and micro/usb connector cables, and fits within the optional Metallo case ($101 – custom made for those with an iPhone 5/5S or a Galaxy S3) if you don’t want to use a rubber band. 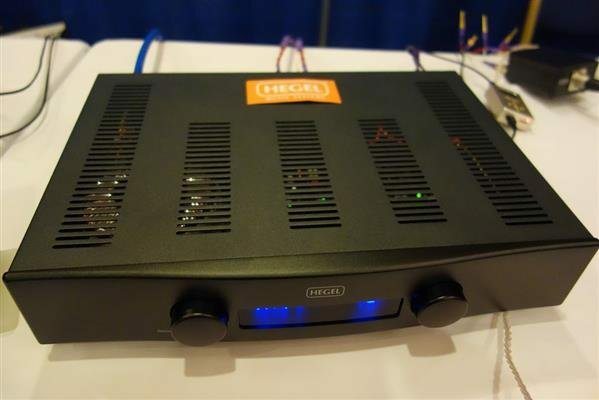 The new Hegel H80 75wpc integrated amp replaces the H70 model. 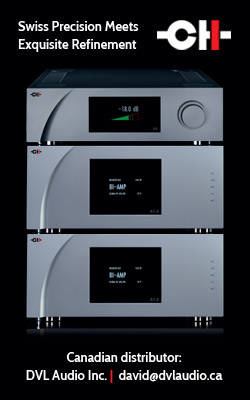 It has 5 digital inputs, and three analog inputs include one balanced input. 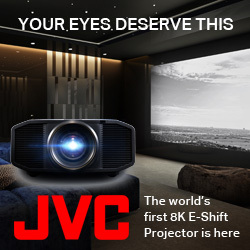 It has trickle down technology from their higher-end separates. Fed by a Hisound Audio Studio V MP3 player and driving a HiFiMan HE6 headphone through the speaker output. This is about the toughest headphone load you can get, and the combination was very rewarding. The Norwegian made Hegel retails around the $2000 mark. 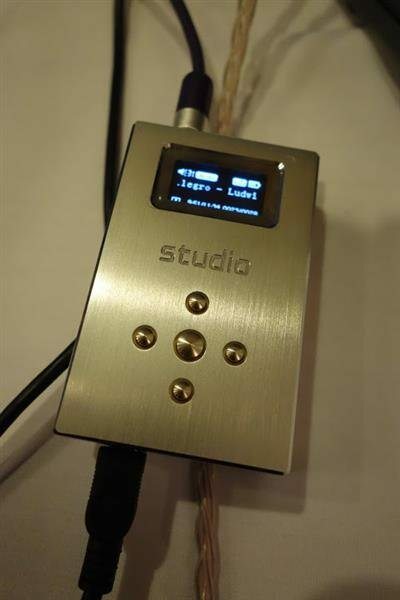 VMAX is also showing a new version of the Korean made Stelllo HP100 headphone amp/preamp/DAC with USB input. 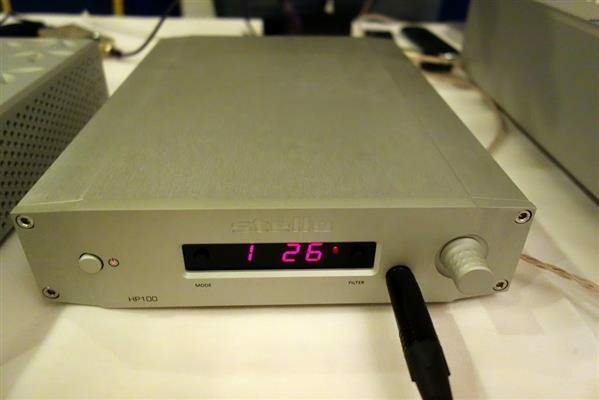 It is one of the few headphone amps that can drive the HE6 and it sells for $1295. 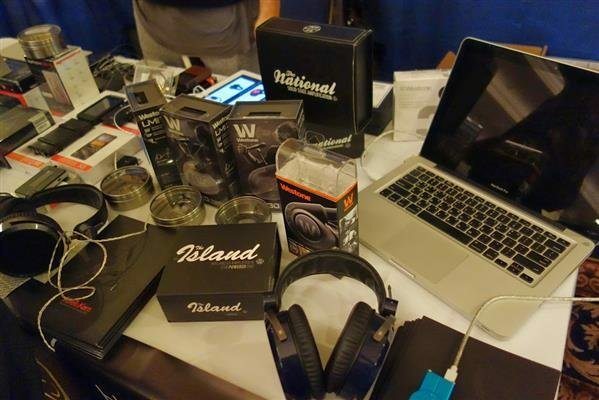 While walking one day around Yonge and Lawrence in Toronto I discovered the Headphone Shop, and I was happy to see their booth at the show, chock full of headphones, headphone amps and accessories. This is certainly a booming part of the market and one in which I take a key interest. Charles Park gave me a guided tour. The highlight is the excellent Astell & Kern AK120 hirez portable digital audio player with DSD decoding, 64 GB memory and dual DACs. 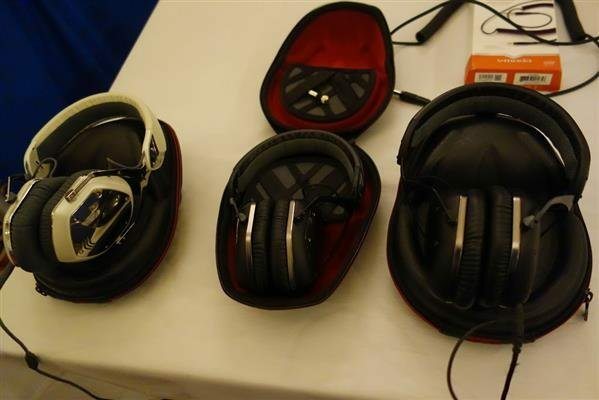 It will drive a wide range of headphones including high impedance models and sells for $1349. Next to it (on the left) is the Fiio X3 from China. 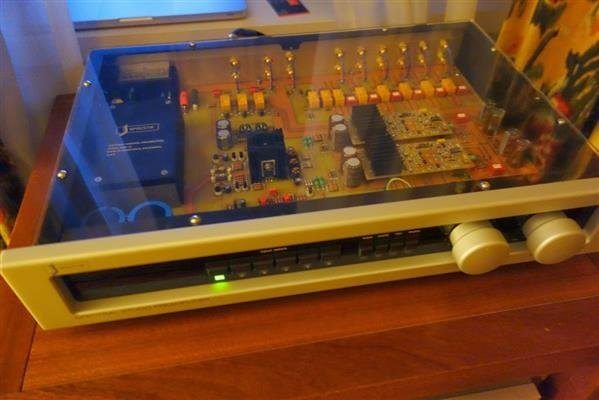 It has a Wolfson 8740 DAC and sells for a remarkable $199.95. I found its user interface less sophisticated than the AK 120. 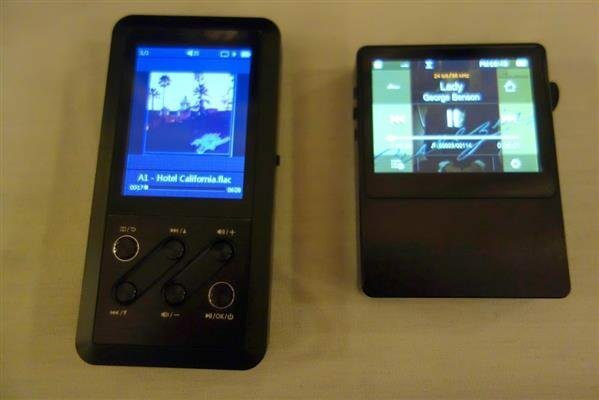 The single DAC, 32GB Astell & Kern AK100 with a less sophisticated output section sells for $769. There are a number of new canal headphones on show from Westone – the water resistant Adventure Series and the UM series with 1, 2 and 3 drivers compatible with the iPhone. You have to visit this store if you are considering phones. In the large Liberty Trading room – the Palm Court – there’s a galaxy of CDs, SACDs and LPs plus a number of equipment manufacturers. 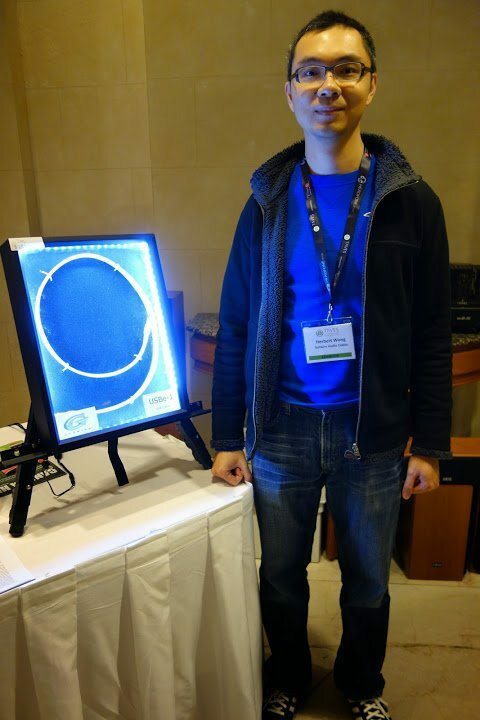 Gutwire Audio Cables’ Herbert Wong was on hand to introduce his new high end USBe-1 USB cable -$299 for a 1.2m length, with up to 5m available. One big difference from the rest of the market is that they make their own plugs rather than buying off the shelf. The shell is made of beryllium copper and the pin itself is made of gold-plated 4N copper. All the termination is done through crimping – no soldering allowed, while the insulation is pure Teflon. 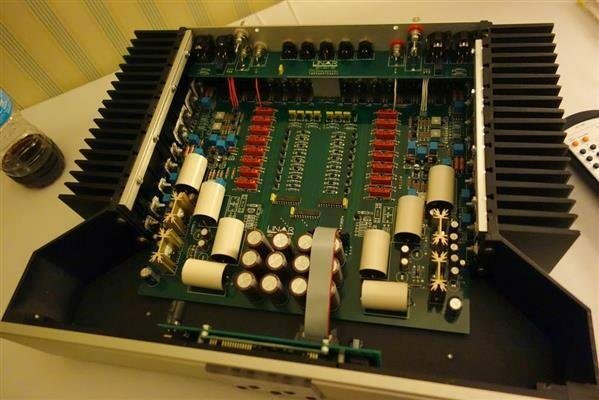 Bill Akhrass introduced me to Burson Audio and April Music components. 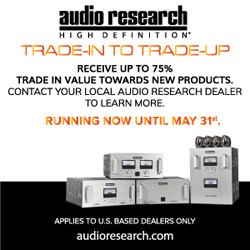 Australia’s Burson is making a big noise in headphone amps, with models running from $1000 and up. 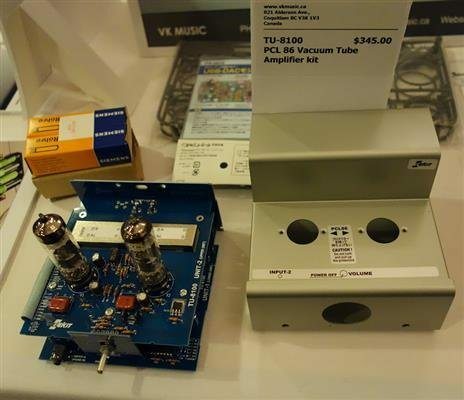 Shown here are two of the new Timekeeper power amps. 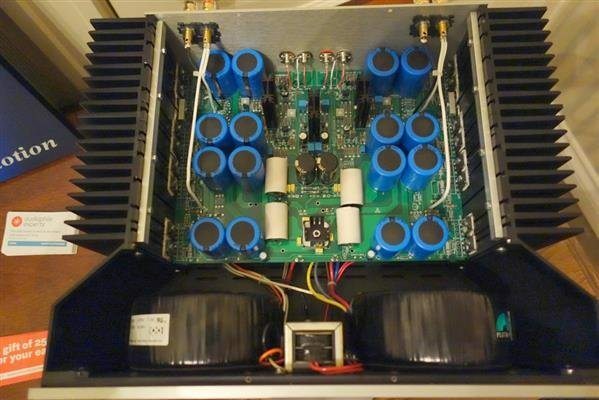 You can use one as an 80wpc stereo power amp or you can use them as a pair of 200w monoblocs ($4500/pr). 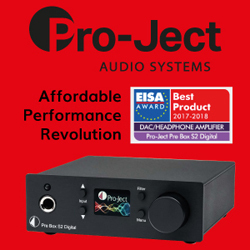 Sitting above the amps is the Conductor headphone amp/preamp/DAC featuring fully discrete Class A circuitry and ESS SABRE32 DAC with an asynchronous USB input capable of 192kHz/32 bit processing. Korea’s April Music is tackling slightly less well healed buyers with components running up to the $1000 mark. Their new headphone amp and power amp were so new Bill had not yet had a chance to unbox them when I interviewed him on Friday. 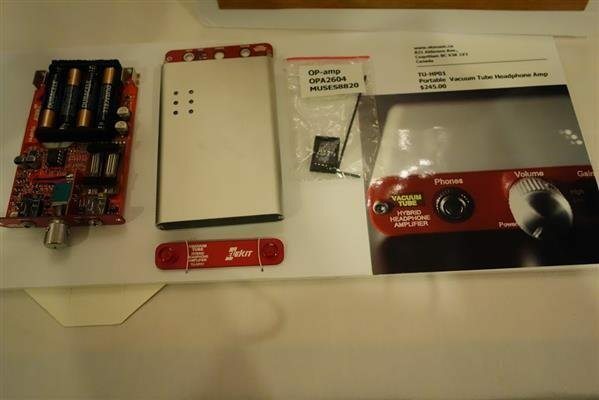 Also not showing is a new USB DAC from Quad which should be arriving just in time for Christmas. Phil Medford showed me around the Audioscape room. He introduced me to the new Prima Luna Dialogue Premium integrated amp ($3799) which was making lovely noises hooked up to the Prima Luna Prologue Premium tube CD player ($4369). This Prima Luna amp features the latest iteration of adaptive autobias and also a bad tube indicator. It is hand made with point to point wiring and unusually it offers a dedicated mono subwoofer output and stereo home theatre pass through. 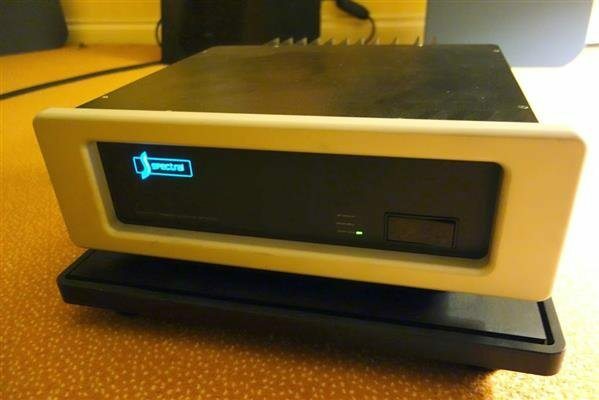 The CD player uses Burr Brown upsampling DAC chips and superclocks for jitter reduction. You can feed in a digital signal through its high-rez USB input. 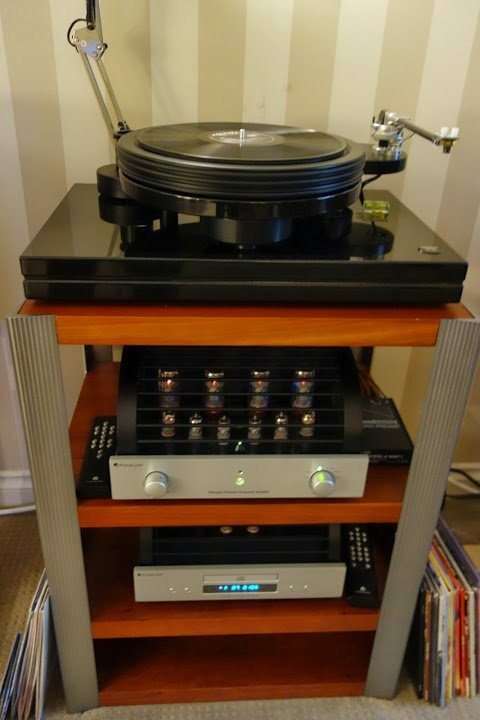 On the top shelf you can see the Nottingham Space 294 ($3979). A range of Dual turntables was on display – here we see the CS460M automatic belt drive model complete with Ortofon OM8 MM cartridge ($899). 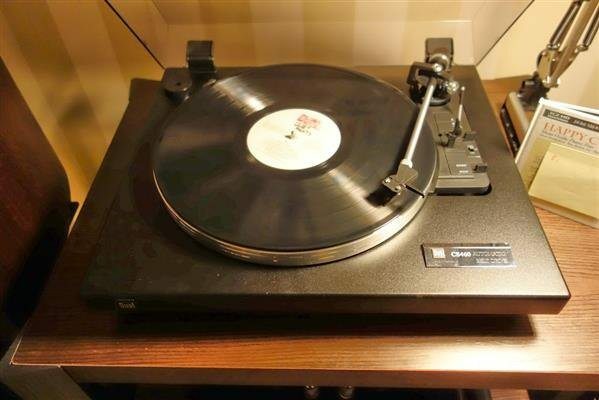 The company went out of business but management bought them back, and the turntables are still produced in the same factory in the Black Forest of Germany. Perhaps the most impressive component on display here is the Usher S-520 monitor ($529) – a tiny bookshelf speaker with a big sound. Remarkable value. By doubling them up, with the upper speaker inverted as shown here an astonishingly rich and vibrant sound surprised all comers. Worth checking out. Usher introduced a new series of speakers including the N6300 bookshelf ($1999). The 1” domed tweeter protrudes slightly from the top of the box. The 7” mid-bass driver combines with the tweeter for a response from 36Hz to 28kHz (-3dB) in a cabinet designed to minimize internal standing waves. 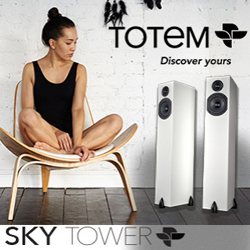 The floorstanding N6311 and N6361 ($3500) speakers complete the range. 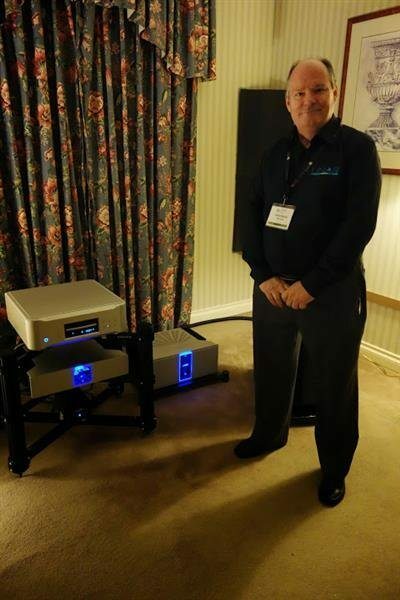 No new components this year but that’s no reason not to spend time in Audio Note’s room with David Cope. 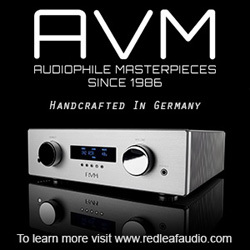 The sound is always so direct and lively, based on low powered amps and high efficiency speakers. 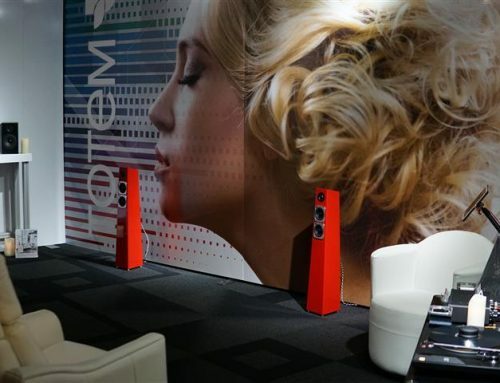 On display this year was a relatively modest system for Audio Note. The speakers are positioned, as Audio Note models are meant to be, right in the corners of the room for best effect. 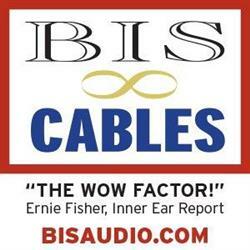 ISIS speaker cables are appearing at TAVES for the first time. These are the new top of the line copper speaker cables. Also appearing are the new ISIS copper power cables which allow the components to do very interesting things according to David, allowing a system to sound much more open and freer, with dramatically greater impact in the bottom end. 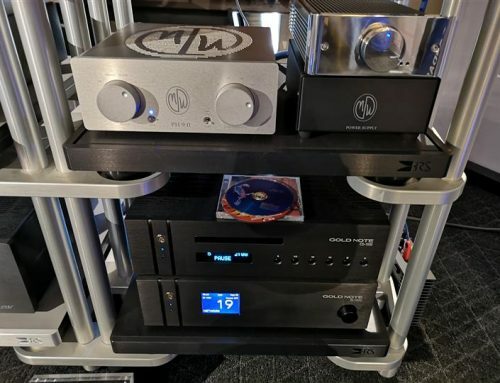 We listened to the CDT Two/II CD transport ($7400), the DAC 3.1x balanced D/A converter ($10000), the M2 Line Preamp ($3900) and Conqueror Silver Stereo 300B Power amp ($6900) driving a pair of AN-E/SPe HE speakers ($9300) offering a remarkable 98dB efficiency. In spending 11 hours at the show I could only take in about half of the rooms in any detail, and just a small sampling of the available seminars, while I really had no time to peruse the many LPs, CDs and HiRez software on display. You could spend a whole weekend here. I commend all the exhibitors for the efforts they put in to display interesting gear and answer questions from attendees with great patience. Extra thanks to those who left out candies and especially those who played music that could act as a good test of their equipment and still be enjoyable. 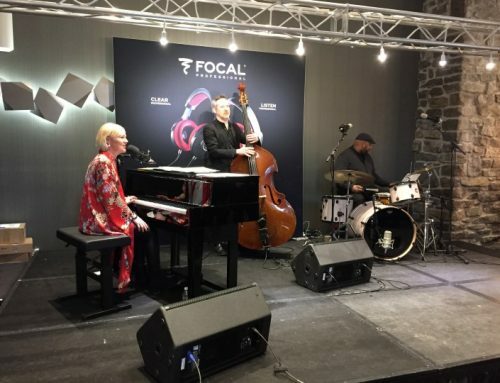 The trend towards streaming and the strong interest in headphone sound is obvious and welcome. Digital is sounding less digital every year, and LPs are not going away any time soon. Best of all there were large numbers of attendees, and that’s a great sign for the industry. If only we could further improve the ratio of females to males in the halls of TAVES (I know that the show organizers are working on this) and in this hobby in general! 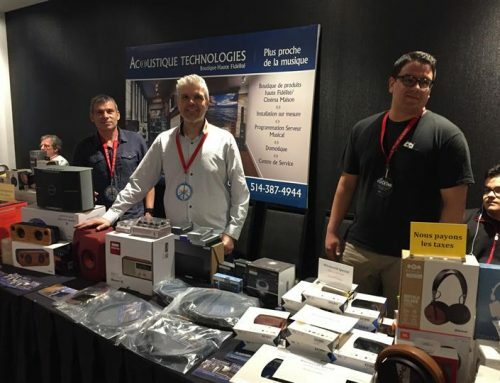 To read about the TV and home theatre demonstrations at TAVES 2013, please check out George de Sa’s TAVES 2013 article by clicking here.